Finally! Dehydrated Pumpkin! No more cans! No more waste!... just add water. FiRM UP! slows down your pets ride on the “Hershey Highway”! GREAT FOR TRAVEL AND CAMPING!!! Each 4 oz bag makes the equivalent of 3 cans of other digestive pumpkin brand canned supplements, making it very cost effective. FiRM UP! 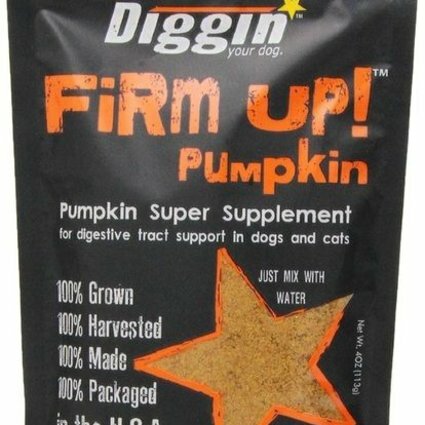 quickly and effectively supports and maintains proper digestive and normal bowel function in pets. FiRM UP! is a great product to use when transitioning to a new or different food (diet). 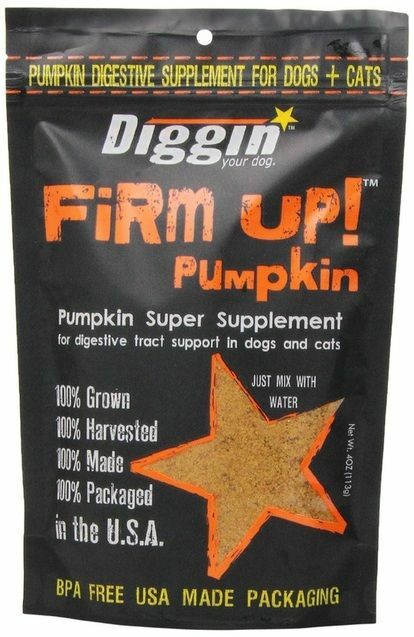 The fiber helps digestion and makes the switch much easier on your pets’ digestive tract. Ingredients: USA grown Pumpkin, USA grown Apple Fiber.